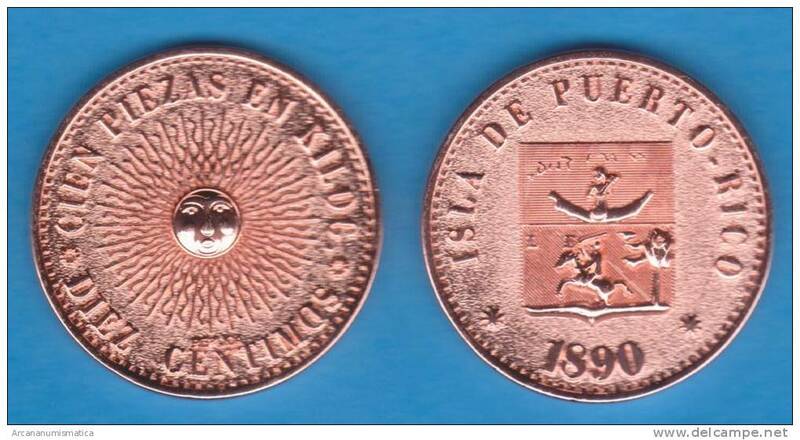 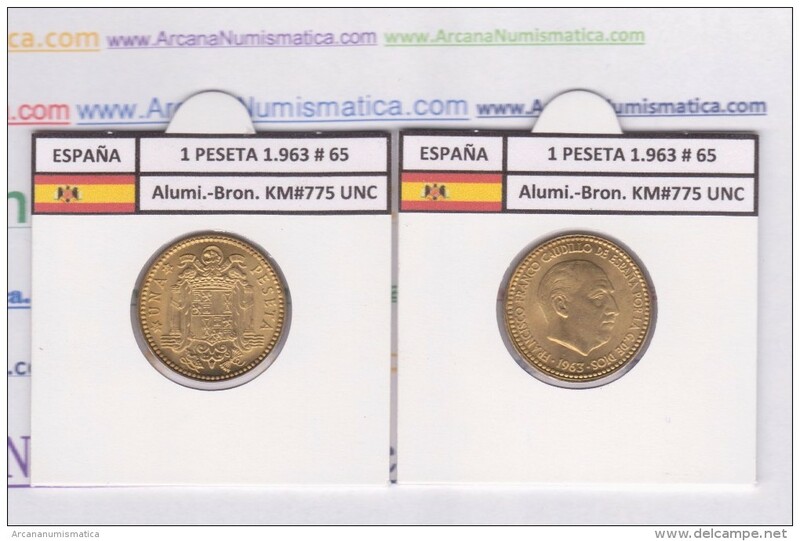 SPAIN / ALFONSO XII FILIPINAS (MANILA) 4 PESOS 1.883 ORO/GOLD KM#151 SC/UNC T-DL-11.071 COPY Cana. 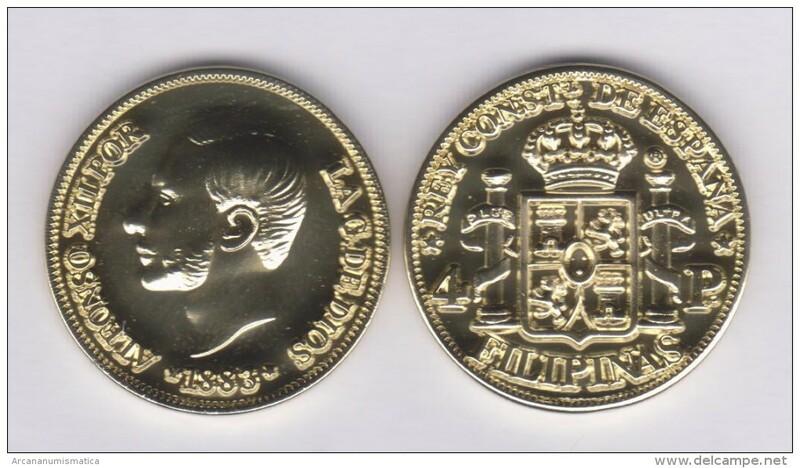 SPAIN / ALFONSO XII FILIPINAS (MANILA) 4 PESOS 1.884 ORO/GOLD KM#151 SC/UNC T-DL-10.936 COPY Cana. 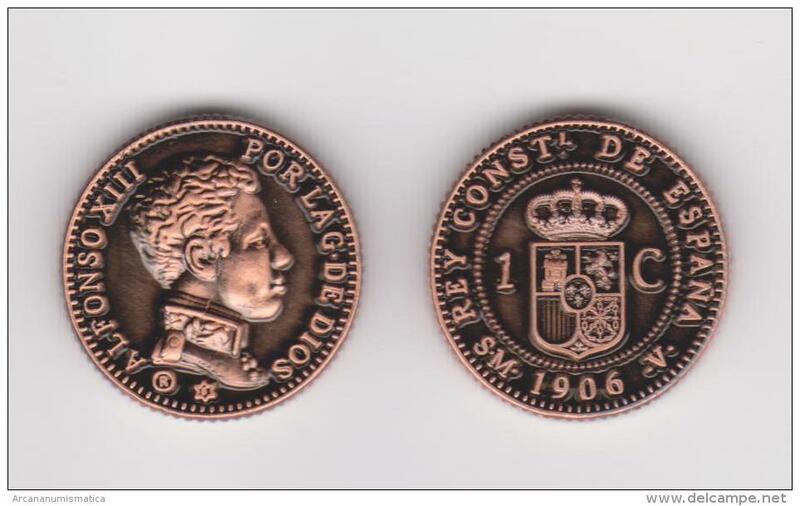 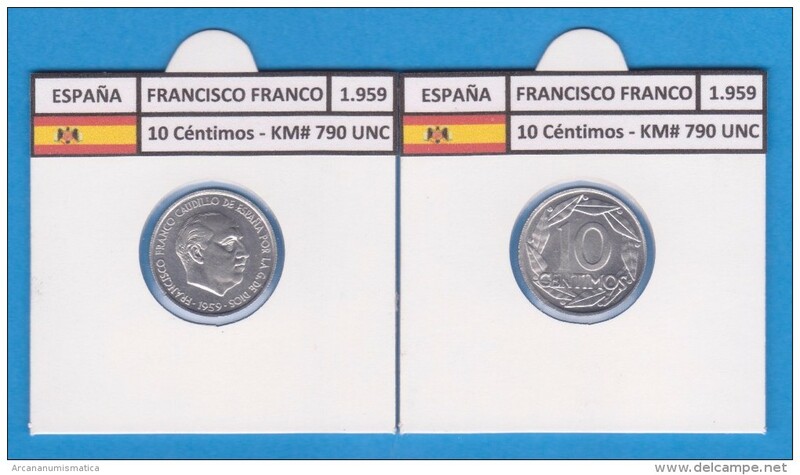 SPAIN/II REPUBLIC 10 CÉNTIMOS 1.937 Cy. 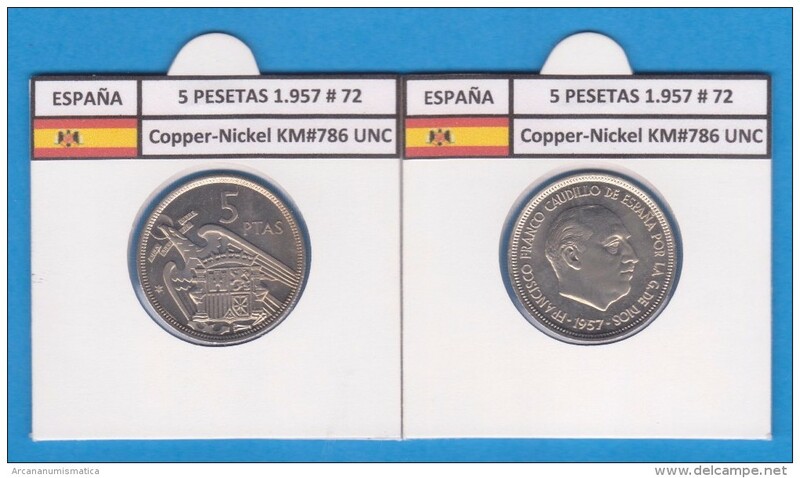 Tipo 1a-16725 COBRE SC/UNC T-DL-10.331 Can. 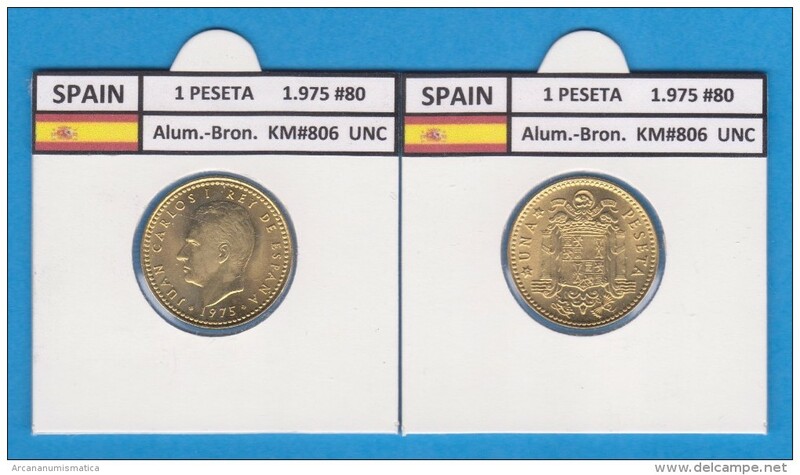 SPAIN / ALFONSO XII FILIPINAS (MANILA) 4 PESOS 1.885 ORO/GOLD KM#151 SC/UNC T-DL-10.832 COPY Cana. 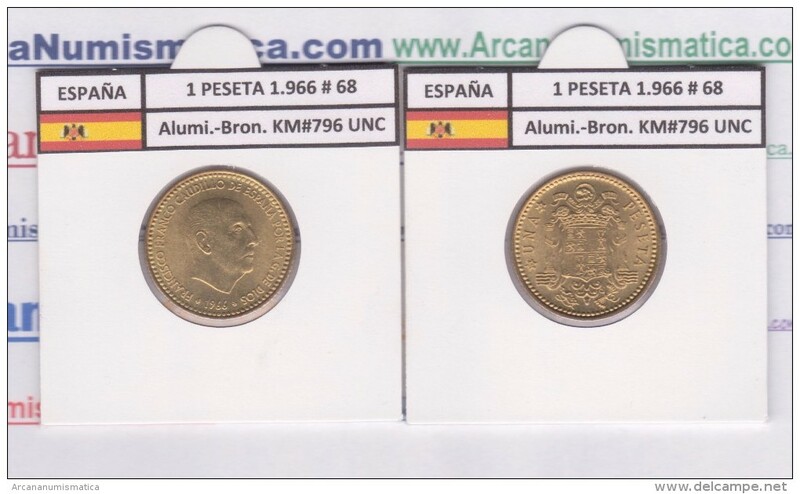 SPAIN / ALFONSO XII FILIPINAS (MANILA) 4 PESOS 1.882 ORO/GOLD KM#151 SC/UNC T-DL-10.765 COPY Cana. 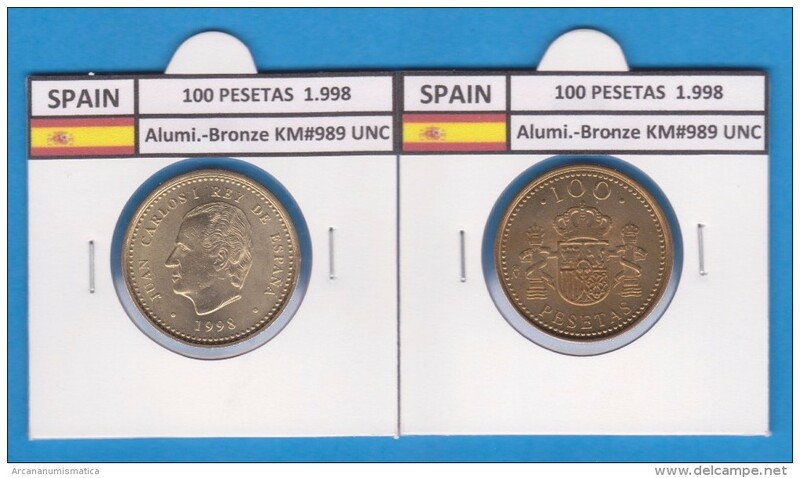 SPAIN 1 PESETA 1.975 #79 Aluminium-Bronze KM#806 Uncirculated T-DL-9367 Can. 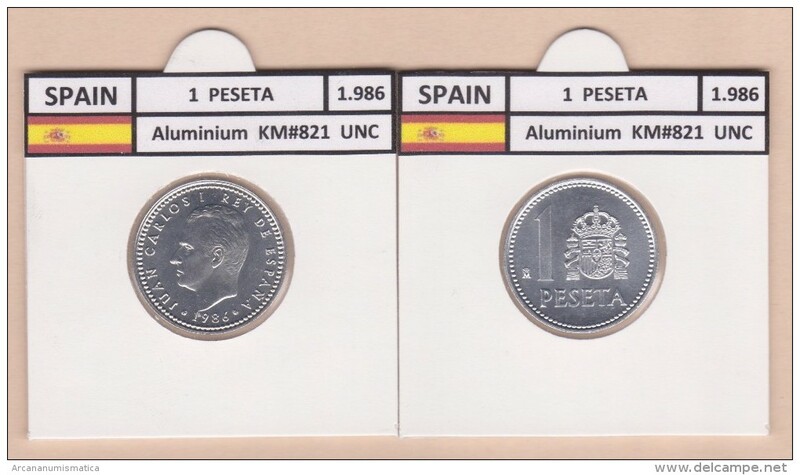 SPAIN 1 PESETA 1.975 #78 Aluminium-Bronze KM#806 Uncirculated T-DL-9366 Can. 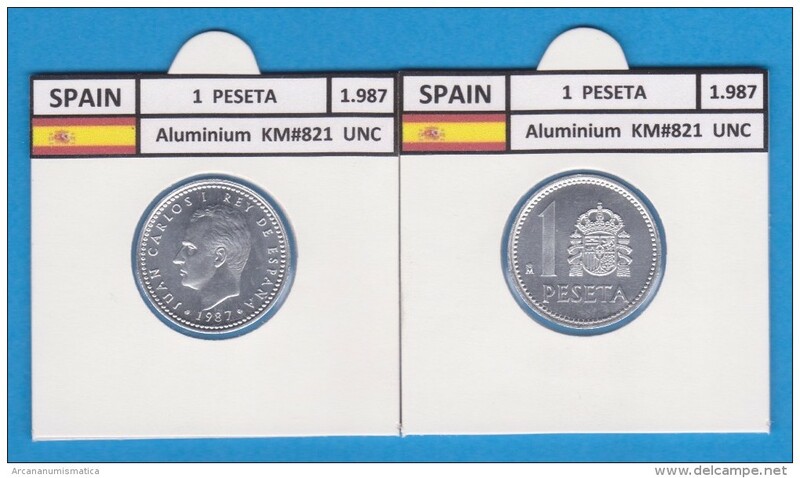 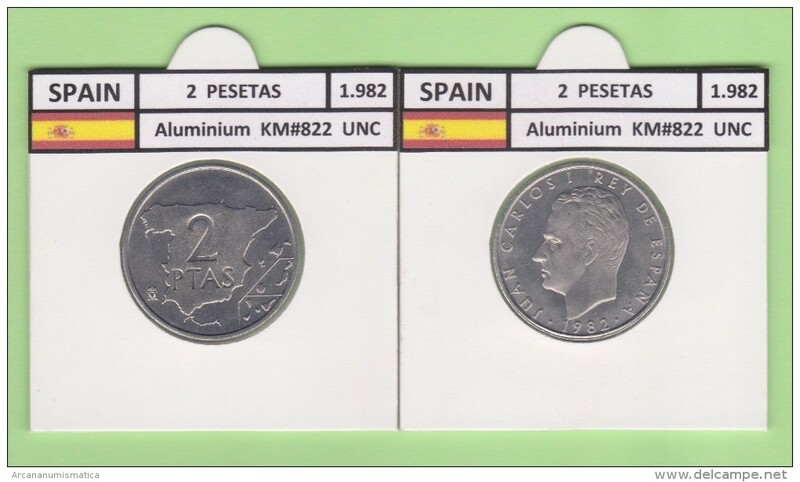 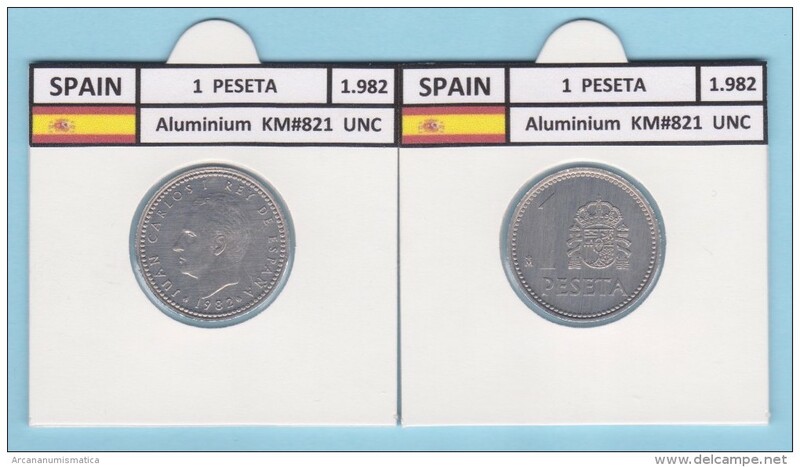 SPAIN 1 PESETA 1.975 #77 Aluminium-Bronze KM#806 Uncirculated T-DL-9365 Can. 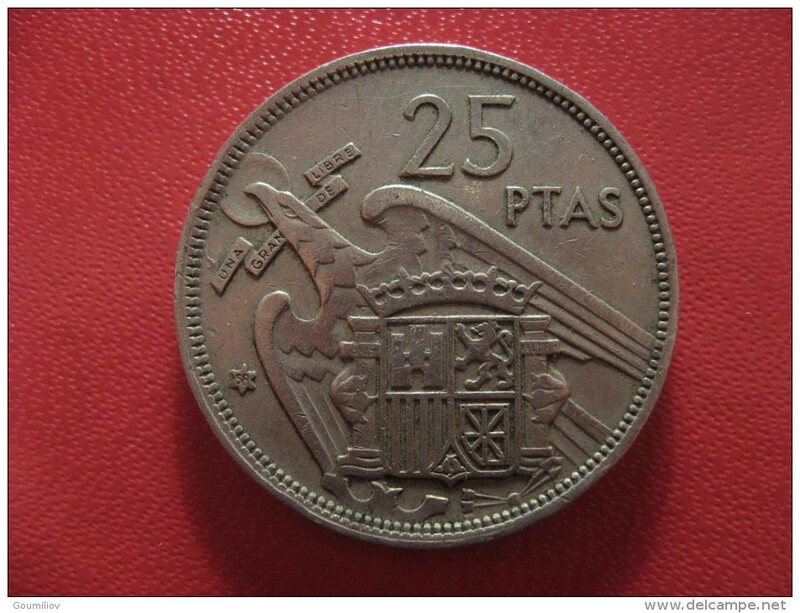 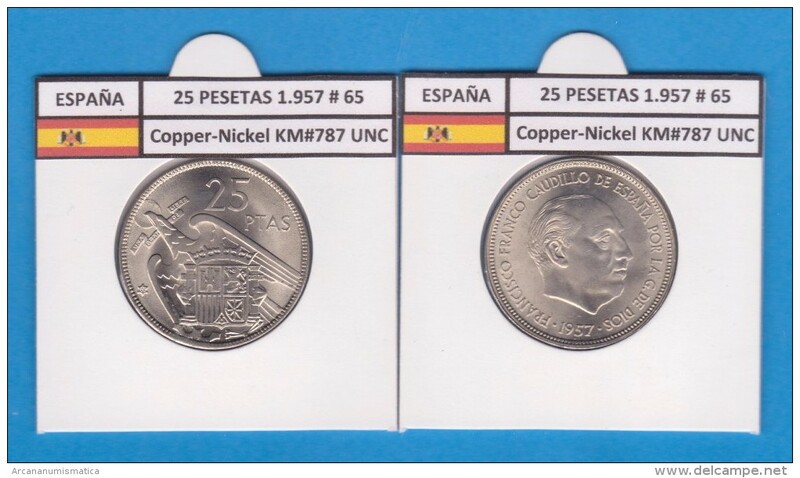 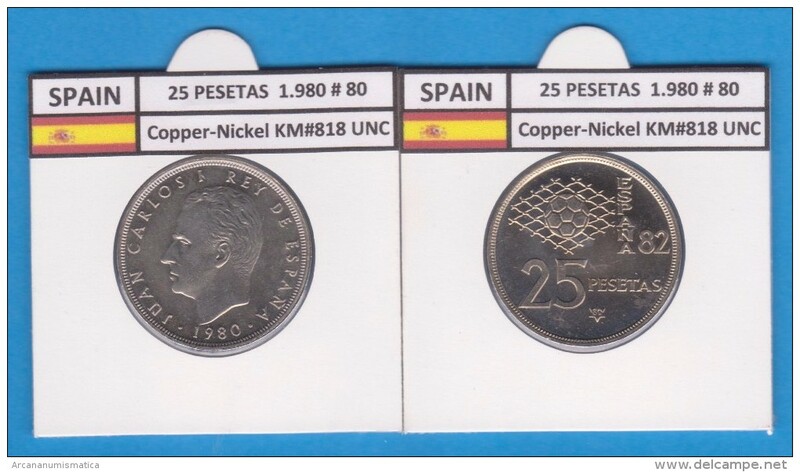 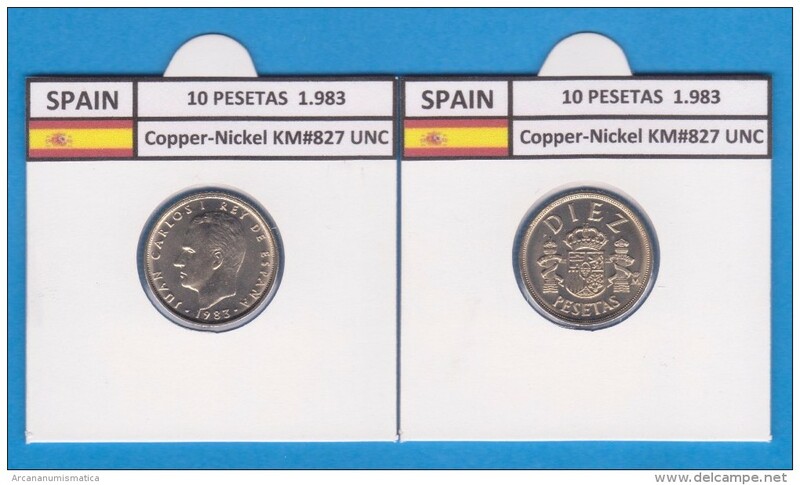 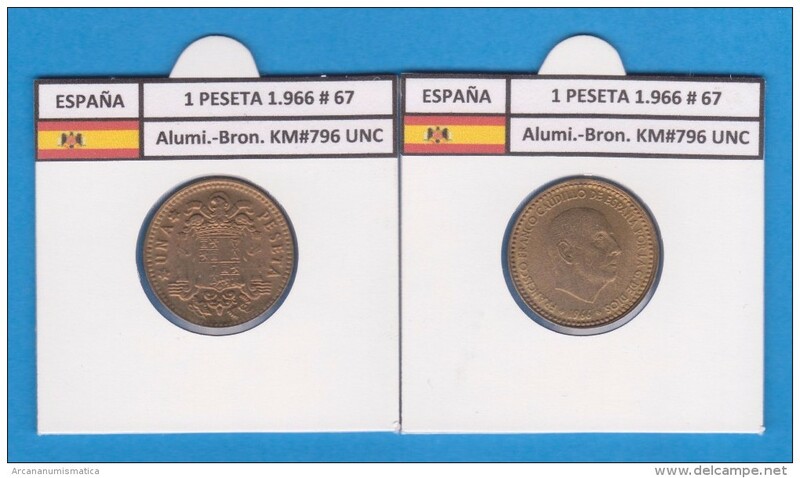 SPAIN 1 PESETA 1.975 #76 Aluminium-Bronze KM#806 Uncirculated T-DL-9364 Can. 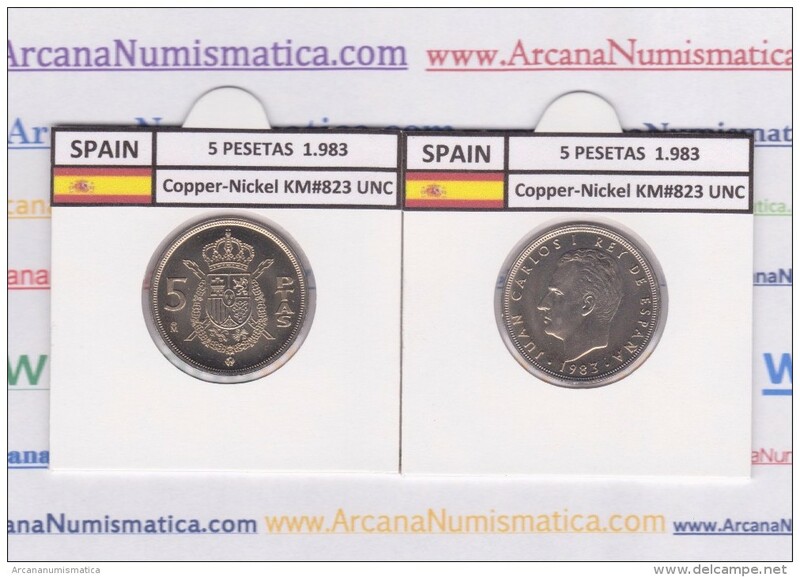 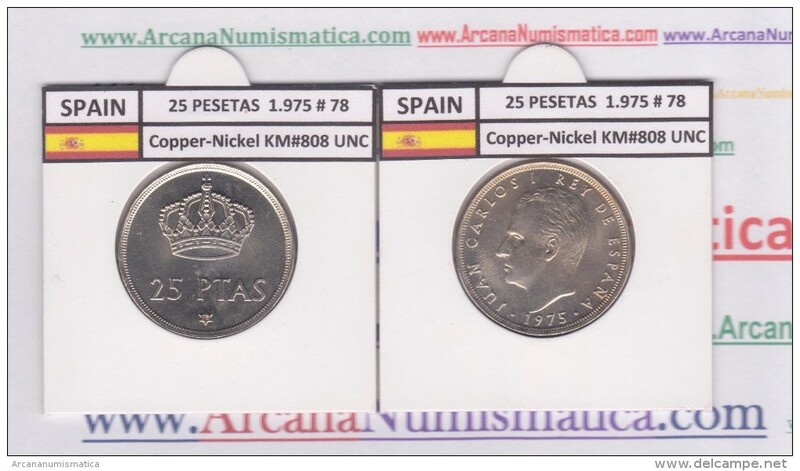 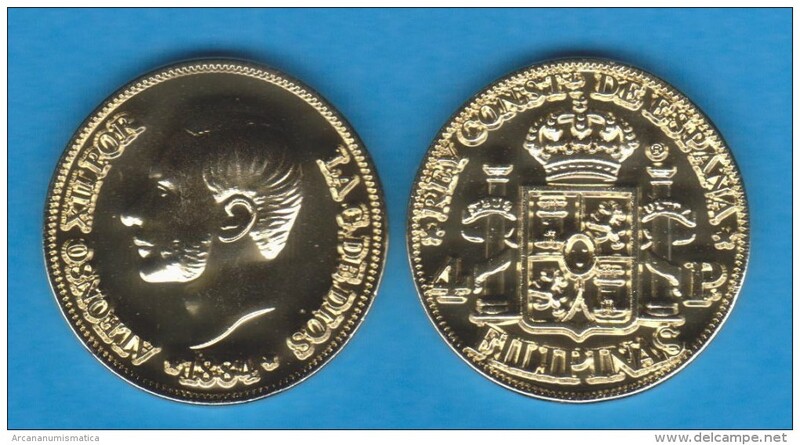 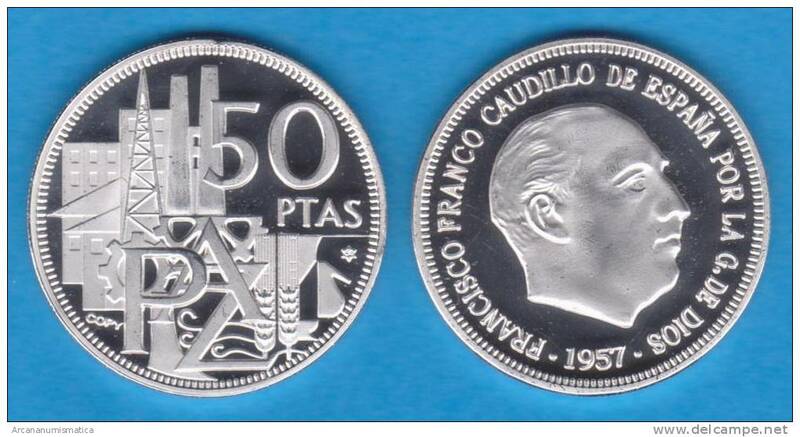 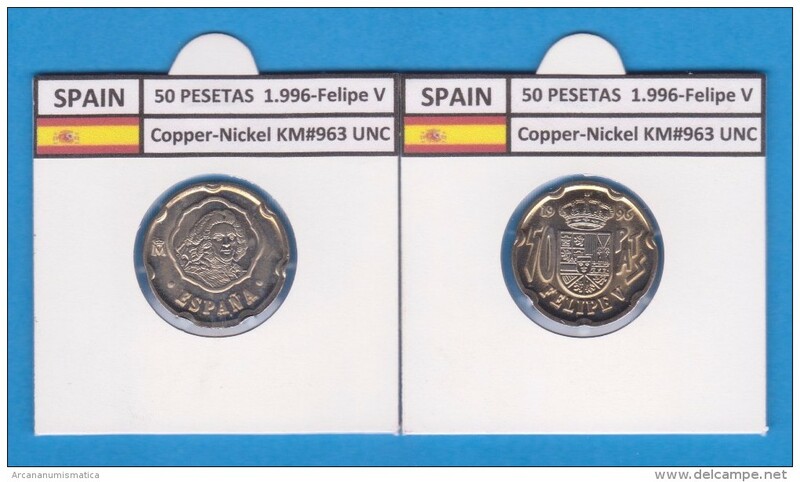 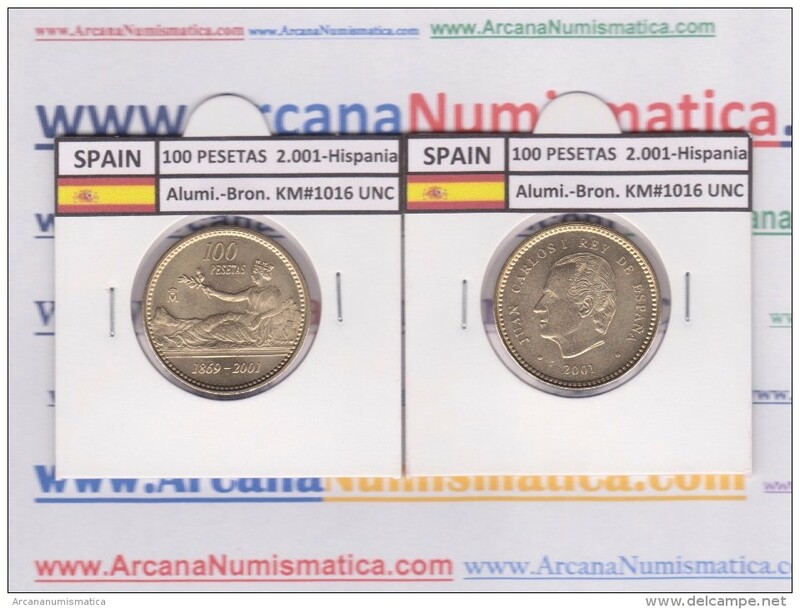 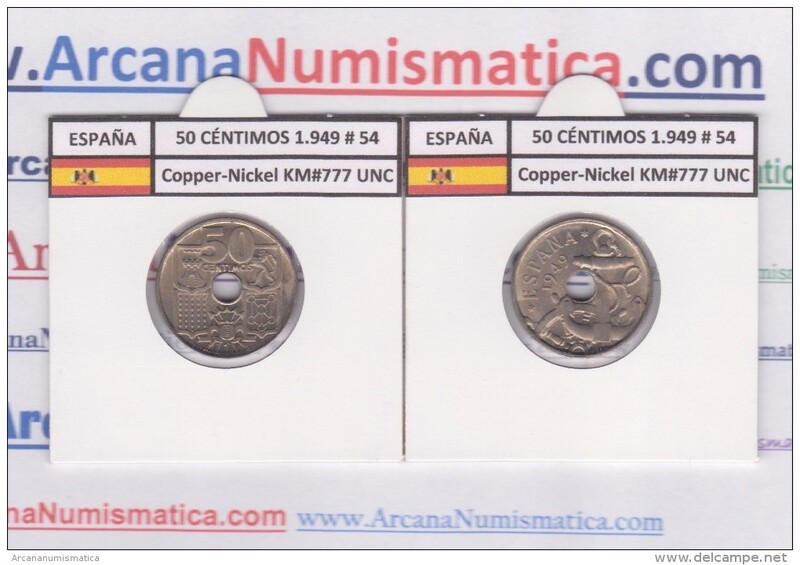 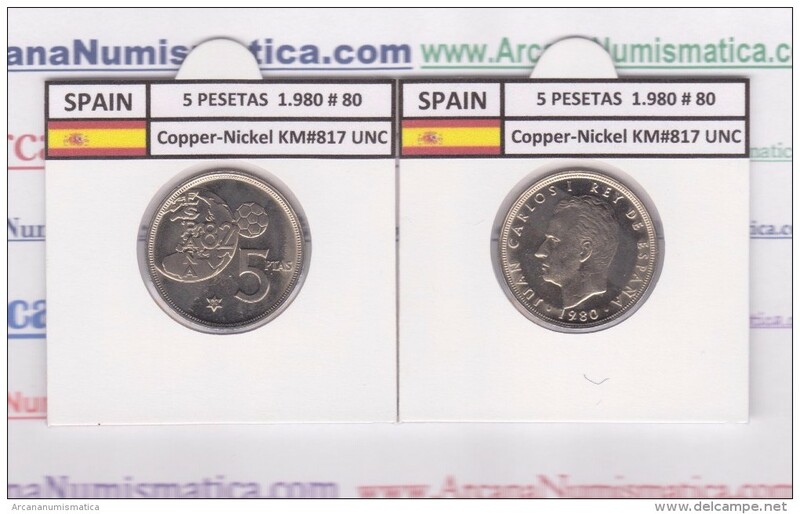 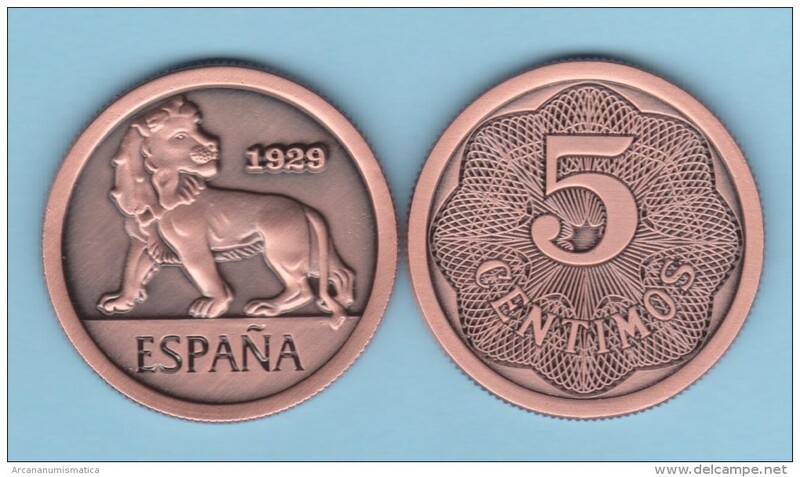 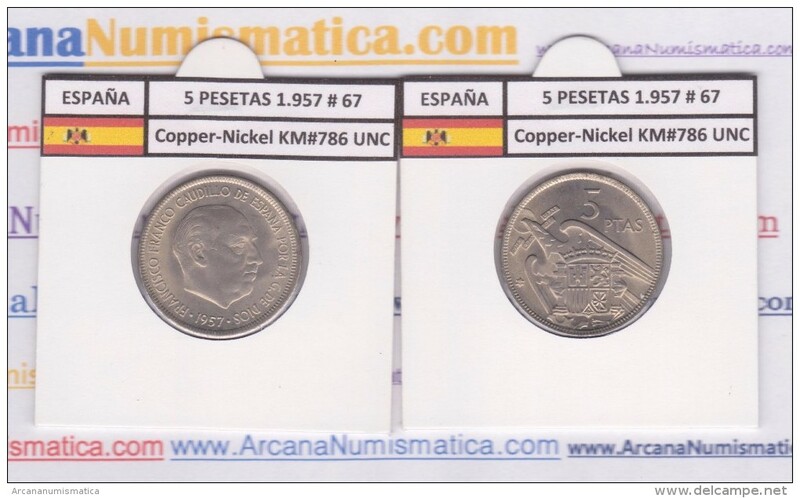 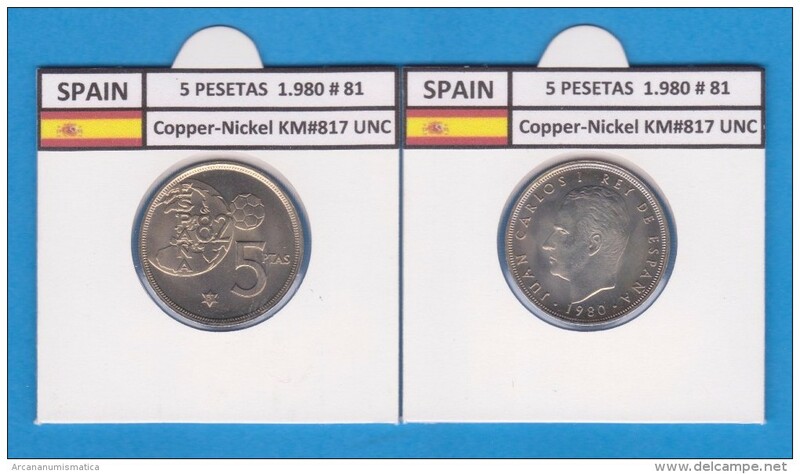 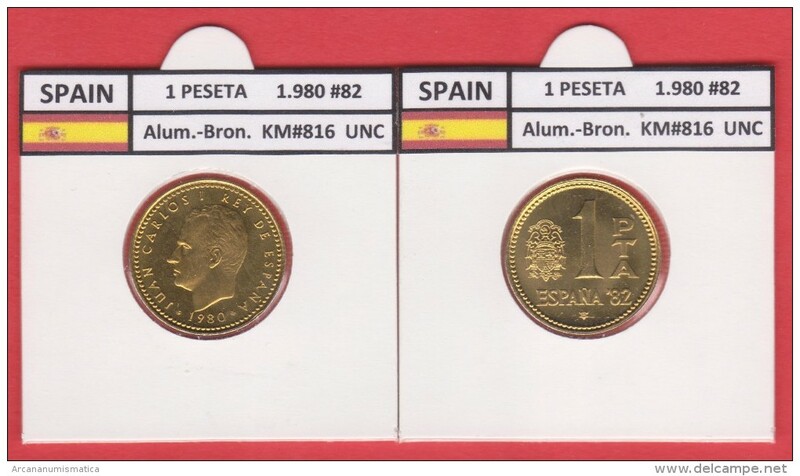 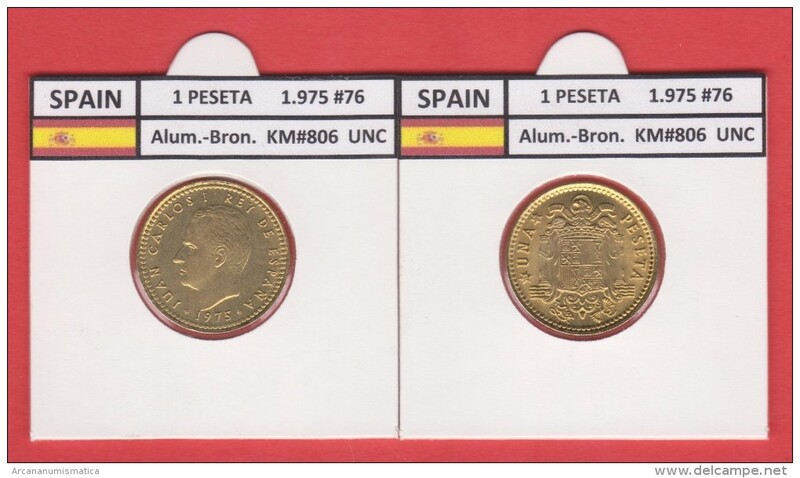 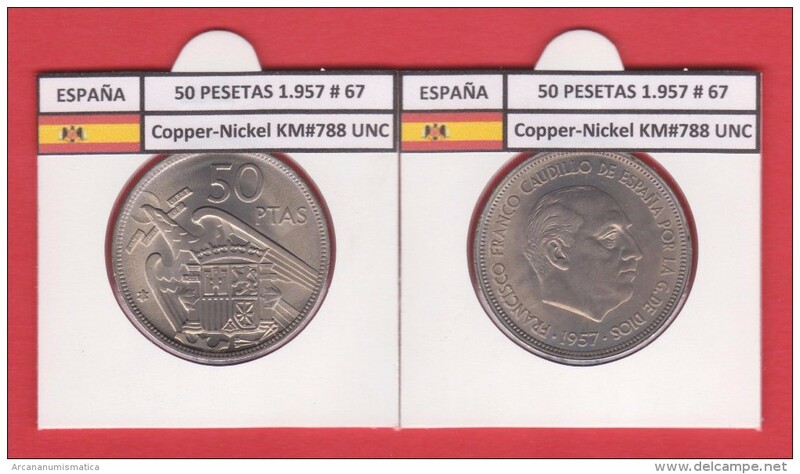 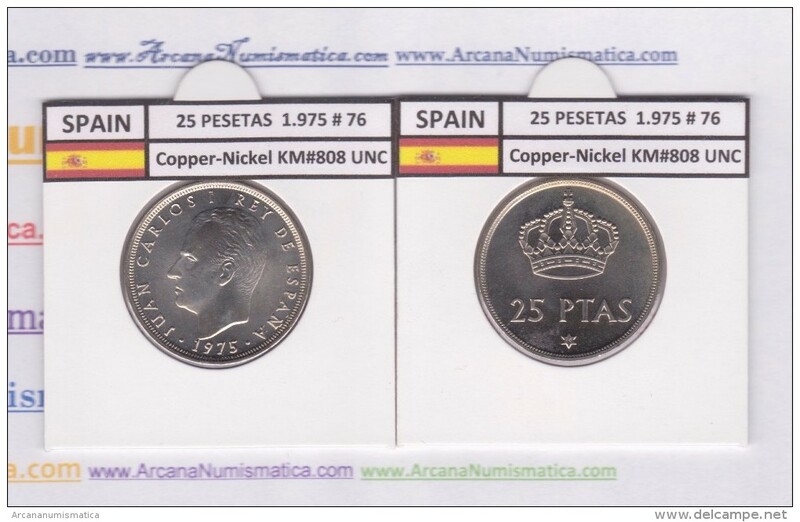 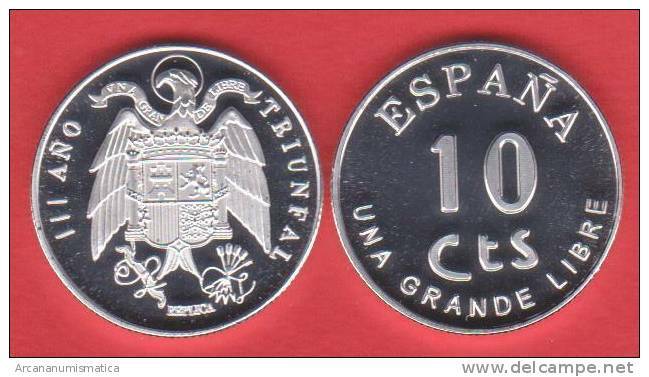 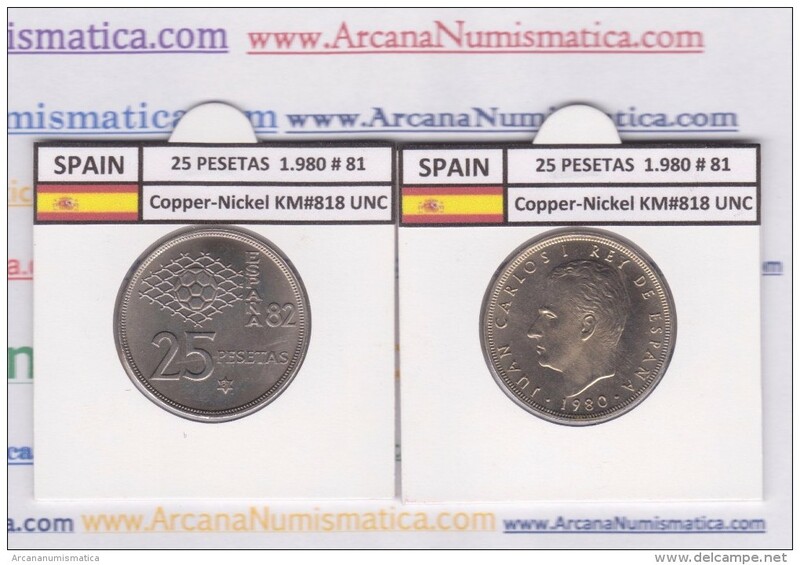 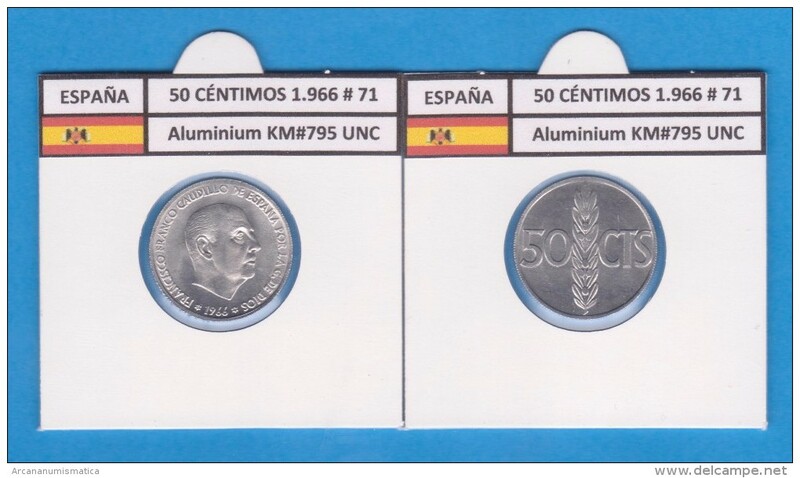 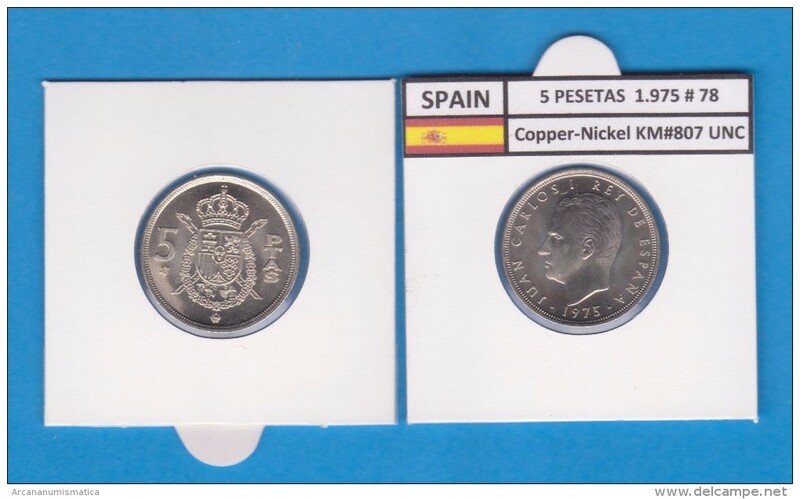 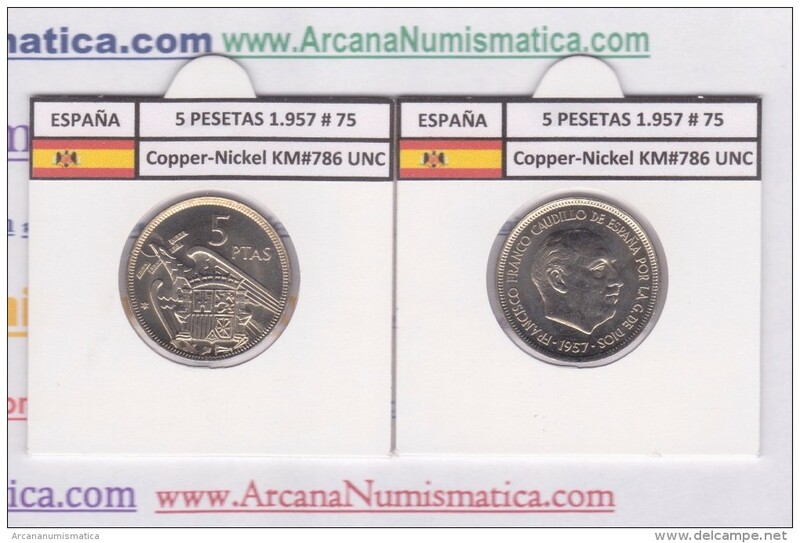 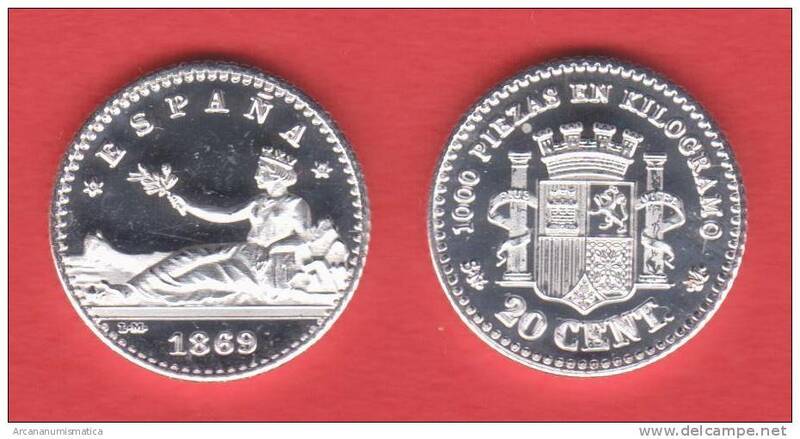 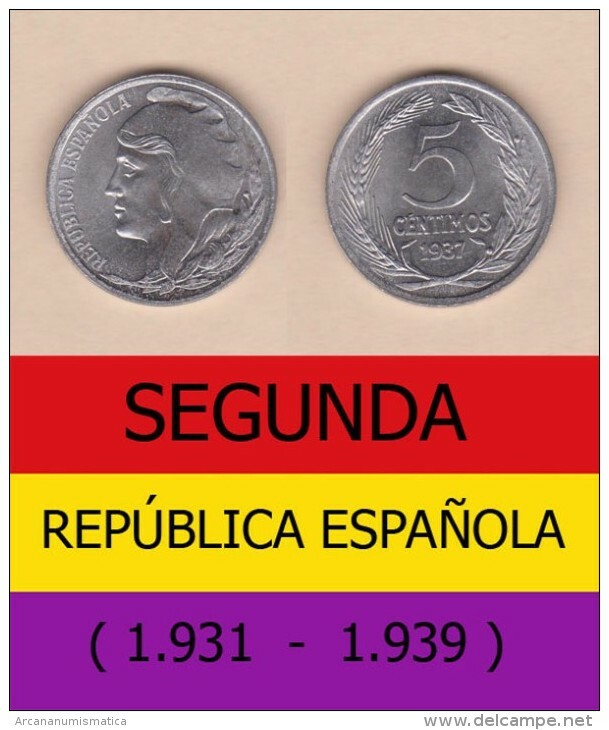 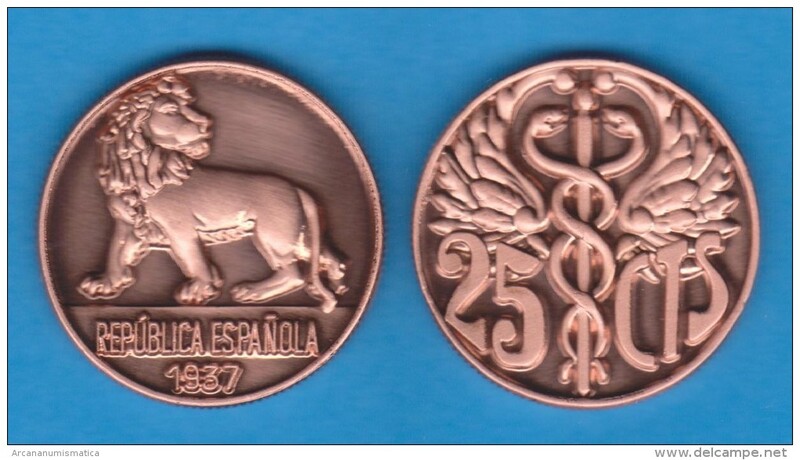 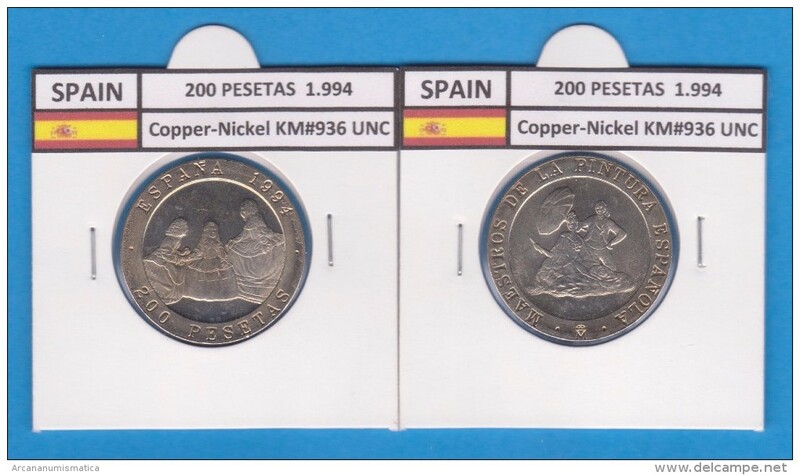 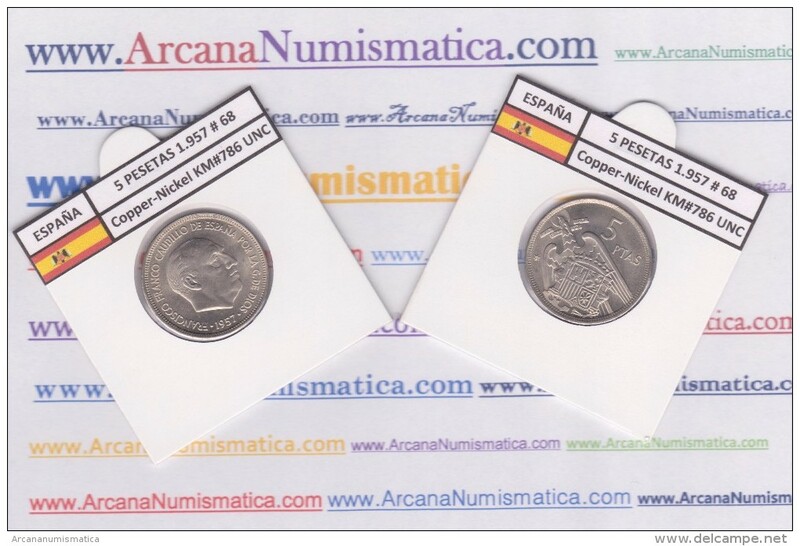 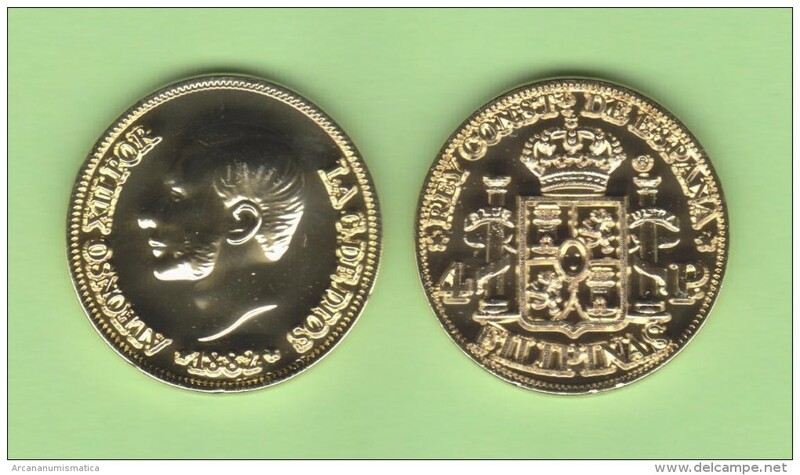 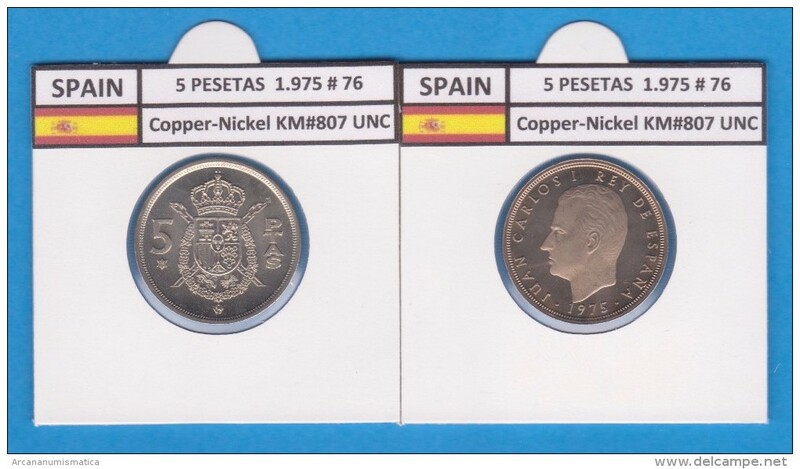 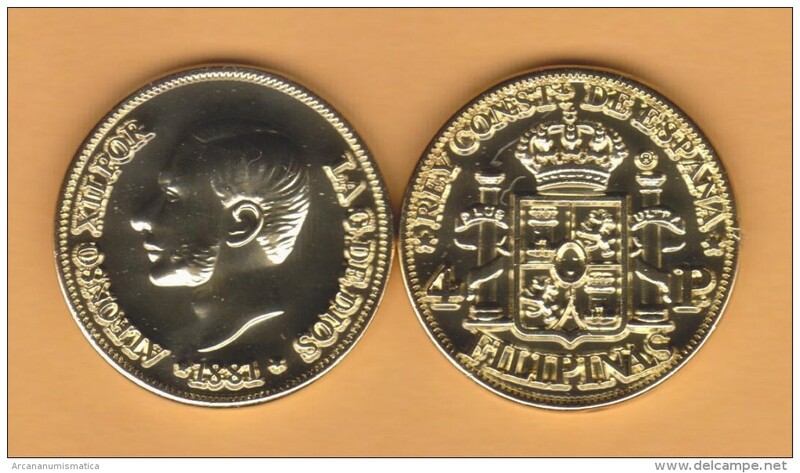 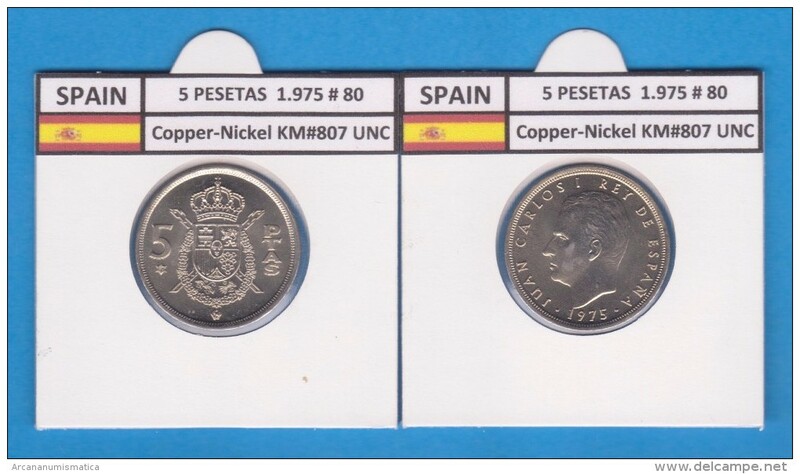 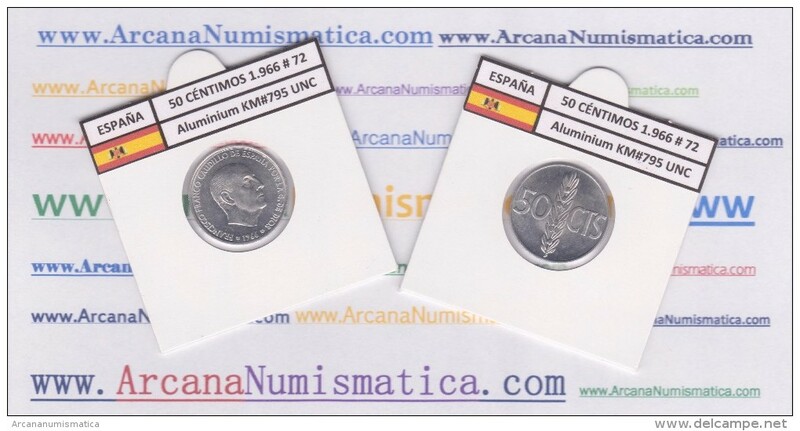 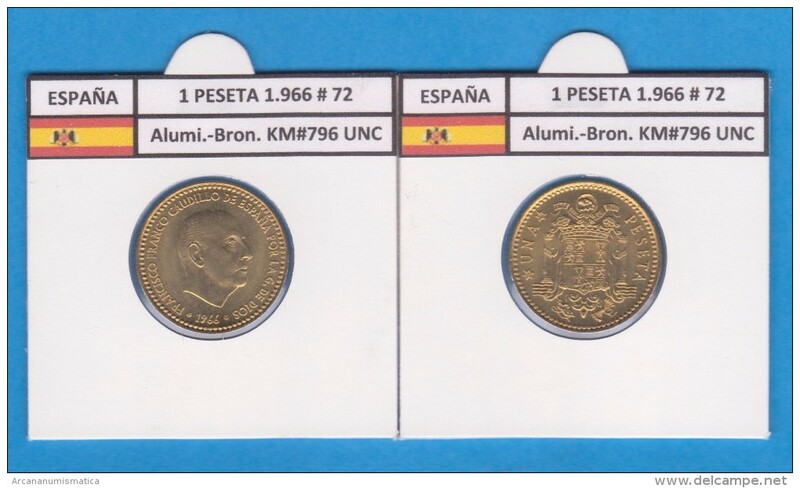 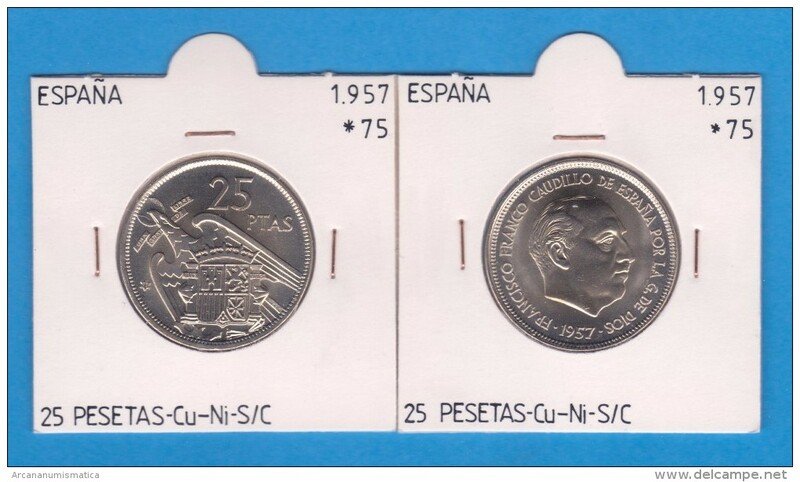 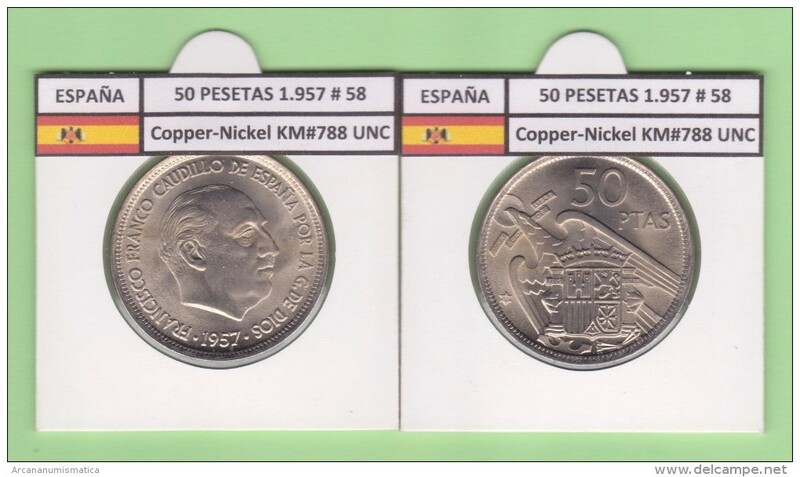 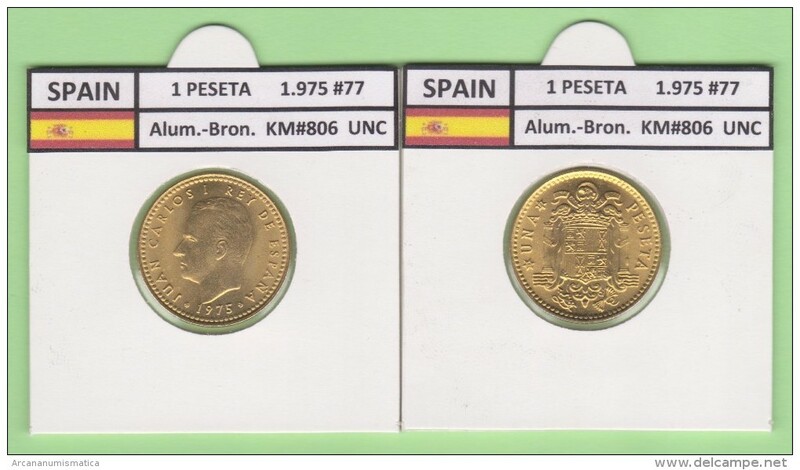 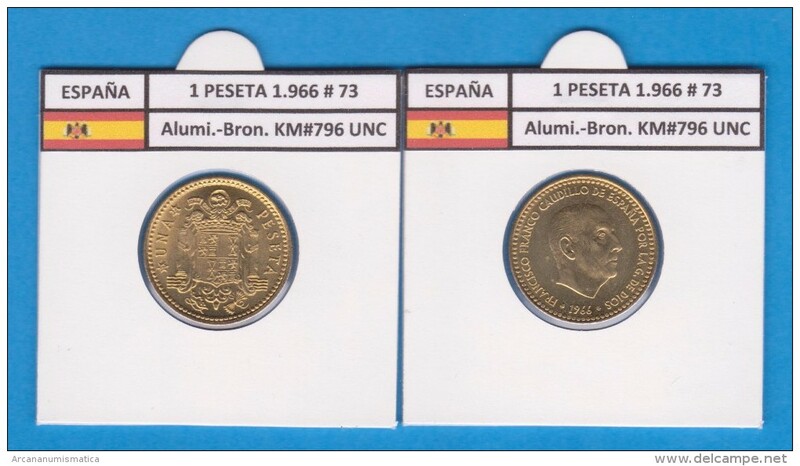 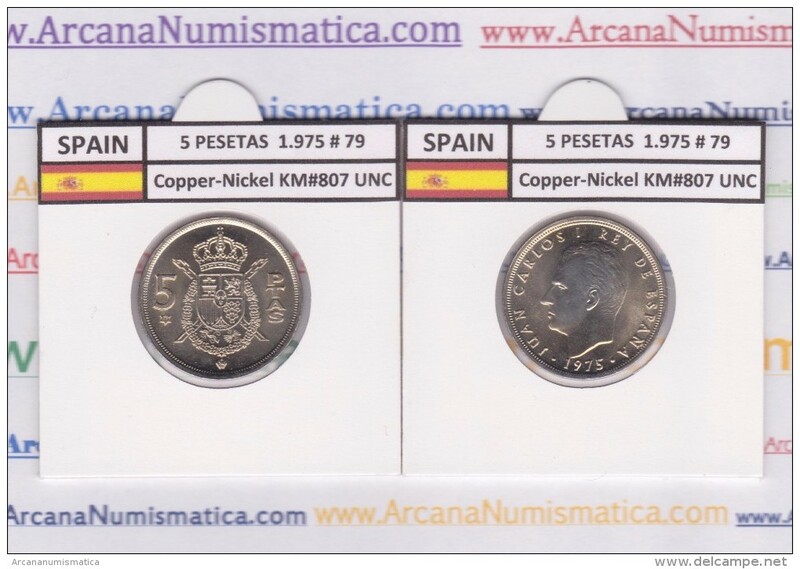 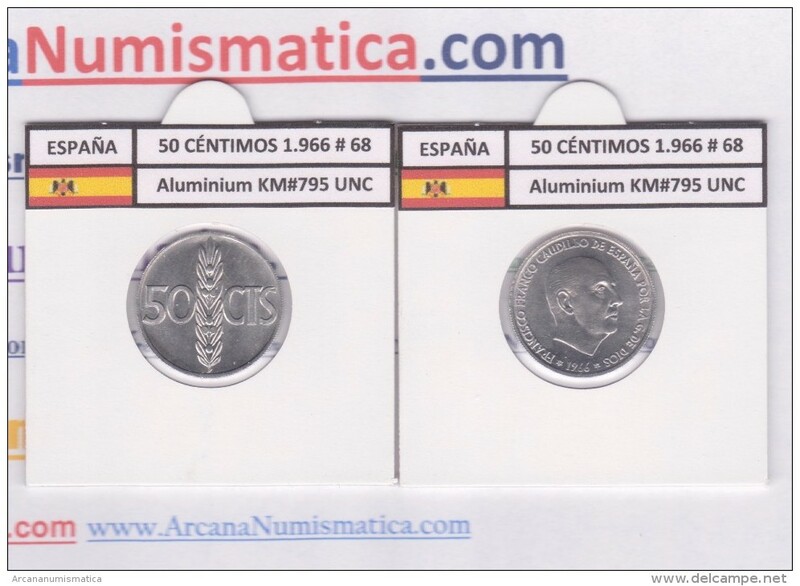 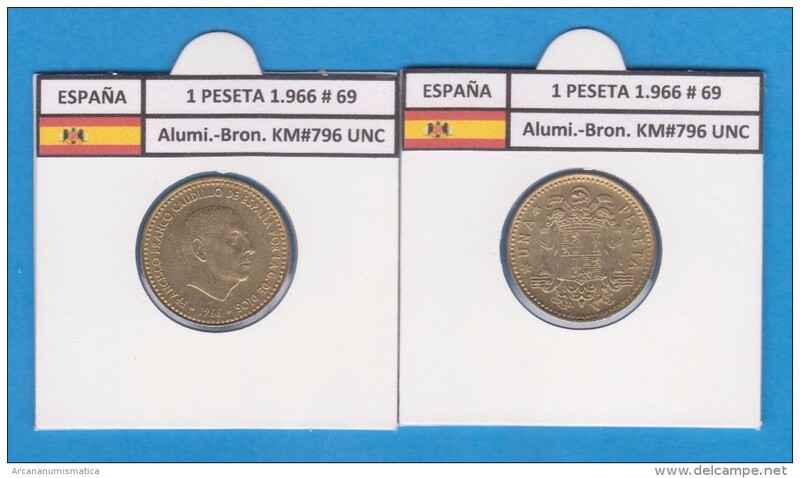 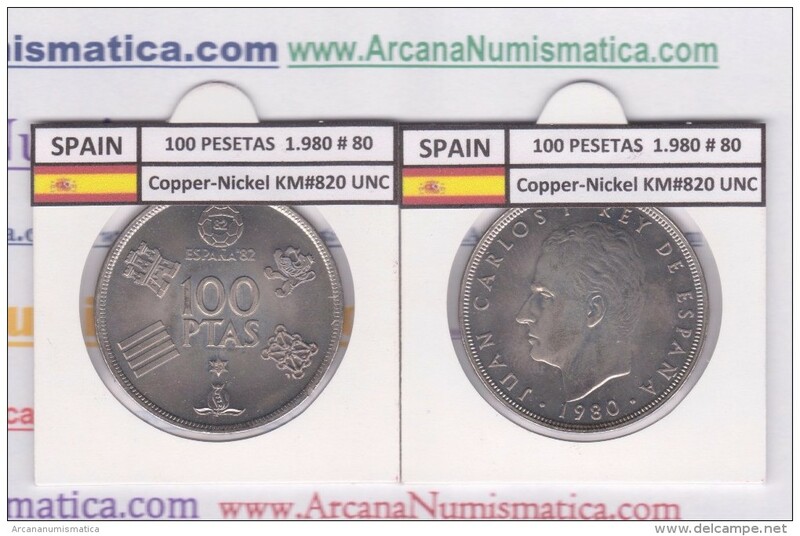 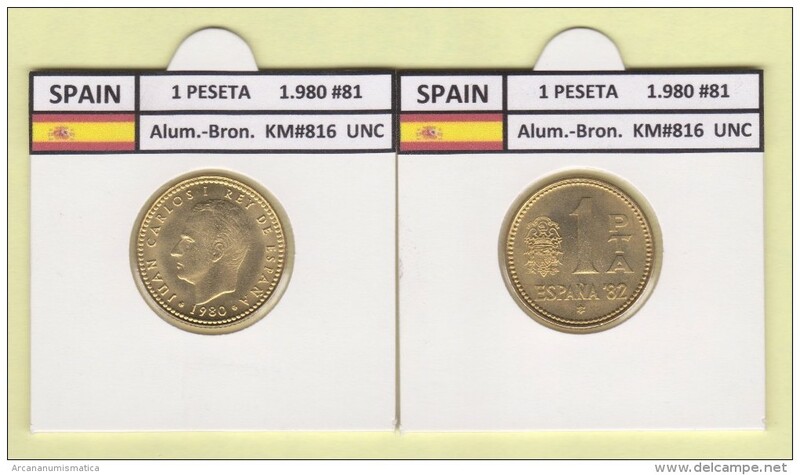 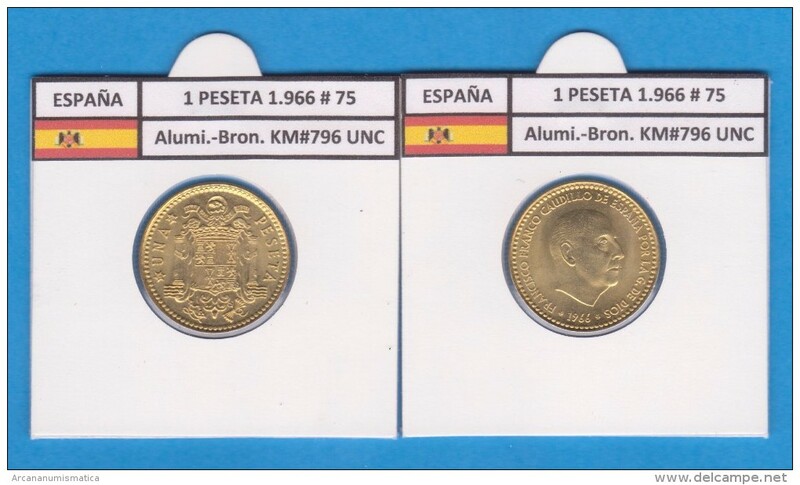 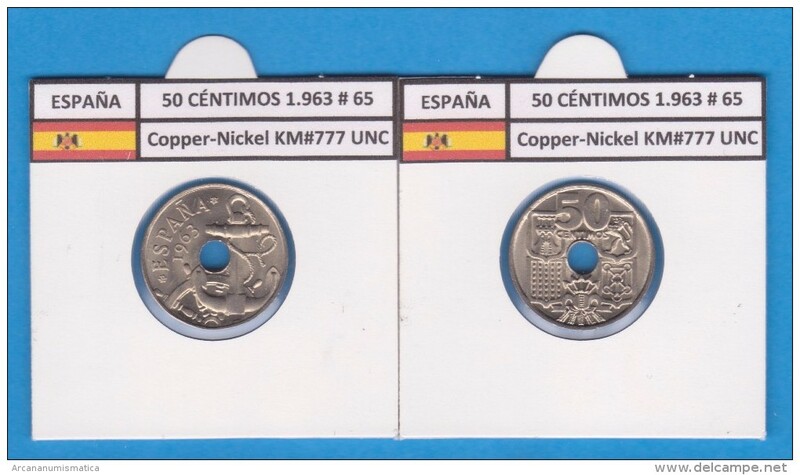 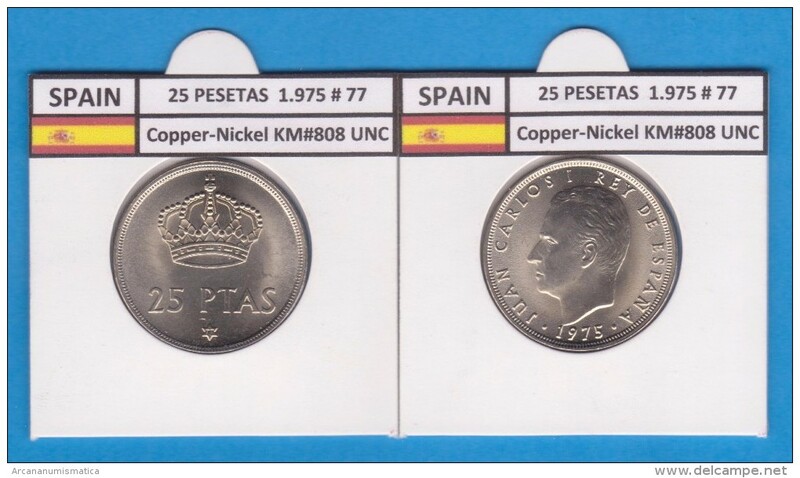 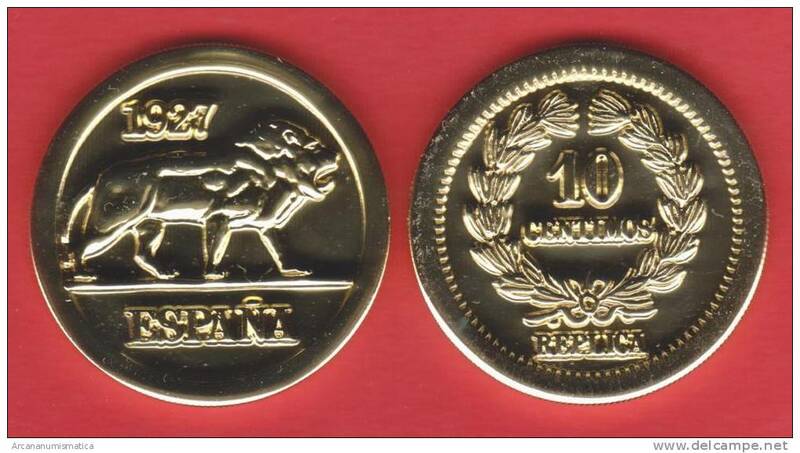 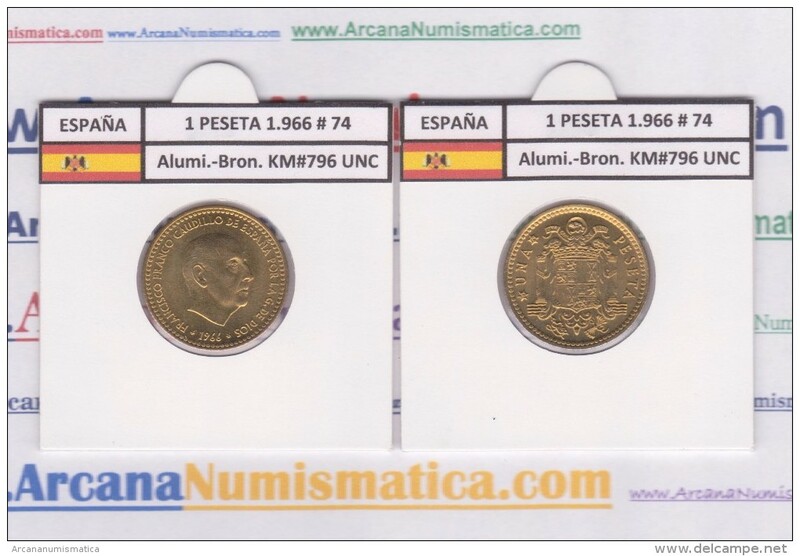 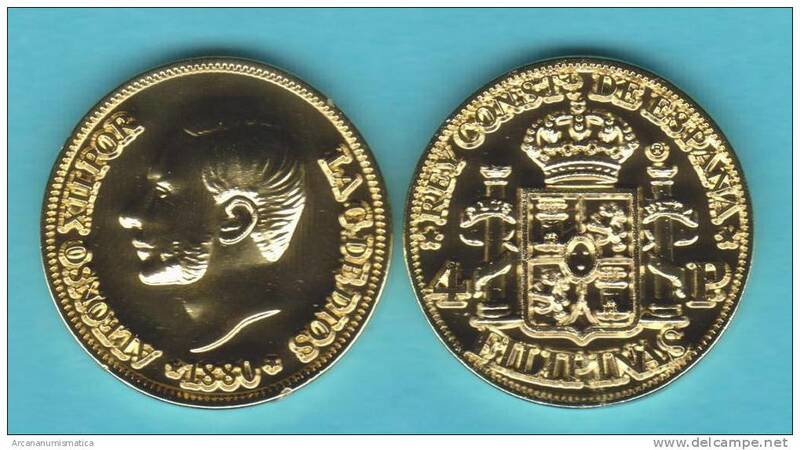 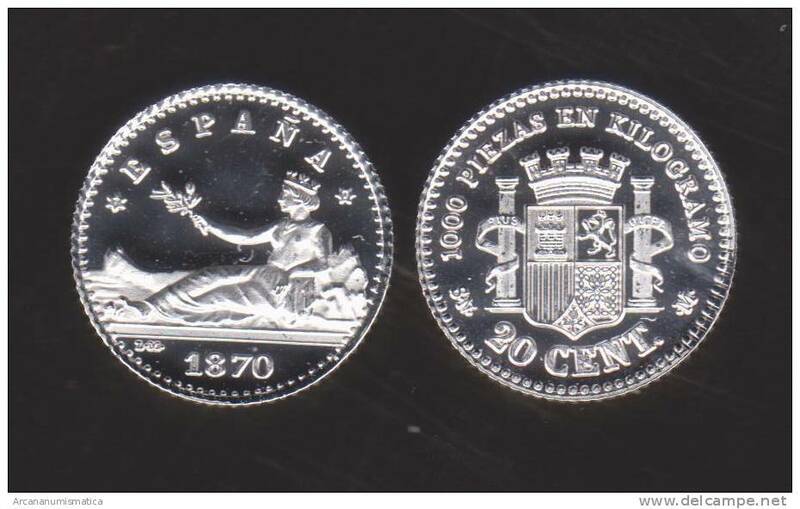 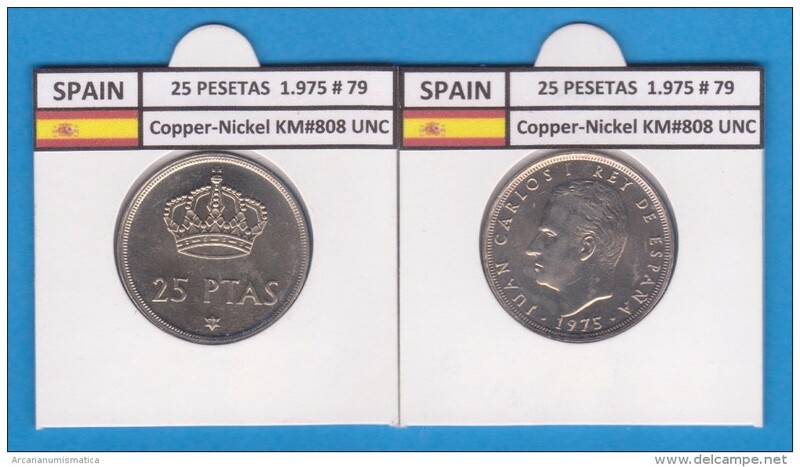 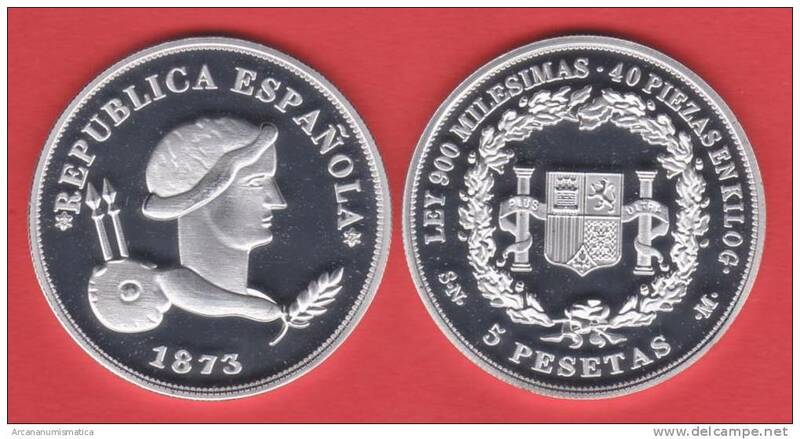 SPAIN 50 Céntimos 1.980 #80 Aluminium KM#815 Uncirculated T-DL-9363 Can..
SPAIN / ALFONSO XII FILIPINAS (MANILA) 4 PESOS 1.881 ORO/GOLD KM#151 SC/UNC T-DL-10.709 COPY Cana. 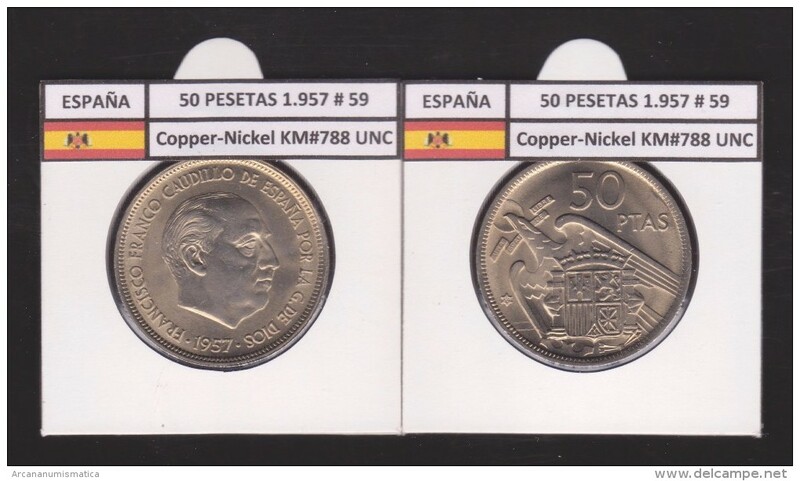 VERY RARE!!! 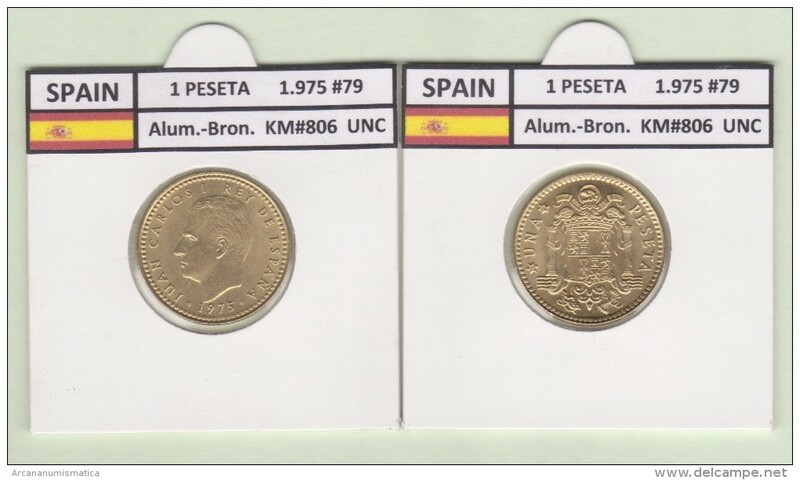 Alfonso XII 1 Céntimos 1.878 Cobre KM#Pn13 SC/UNC T-DL-10.548 COPY Cana. 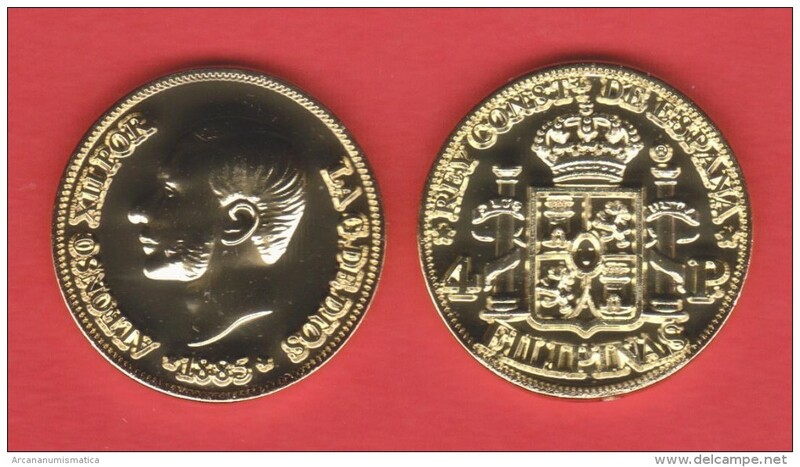 VERY RARE!!! 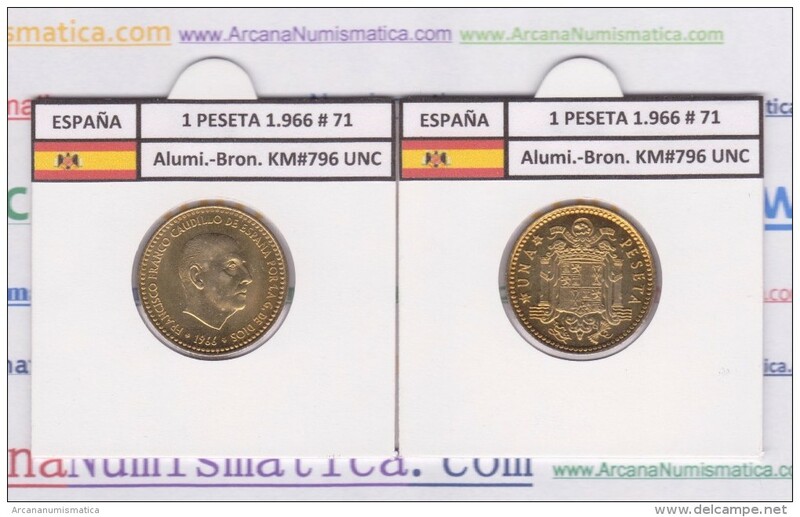 Alfonso XII 2 Céntimos 1.878 Cobre KM#Pn14 SC T-DL-10.461 COPY Cana. 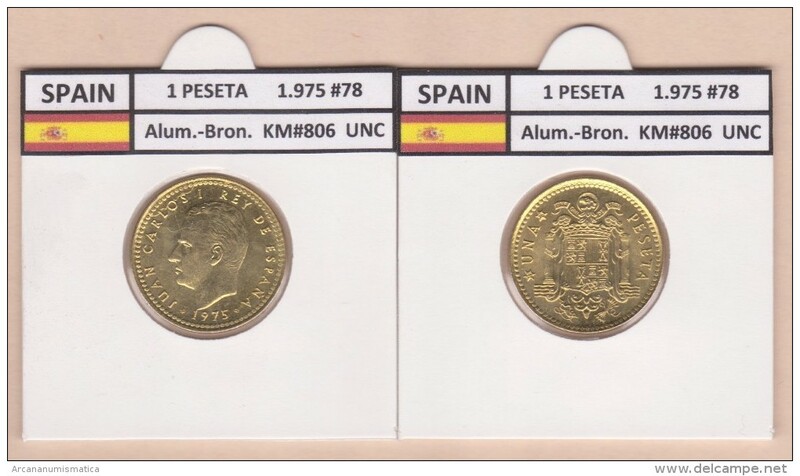 SPAIN / ALFONSO XII FILIPINAS (MANILA) 4 PESOS 1.880 ORO/GOLD KM#151 SC/UNC T-DL-10.368 COPY Cana. 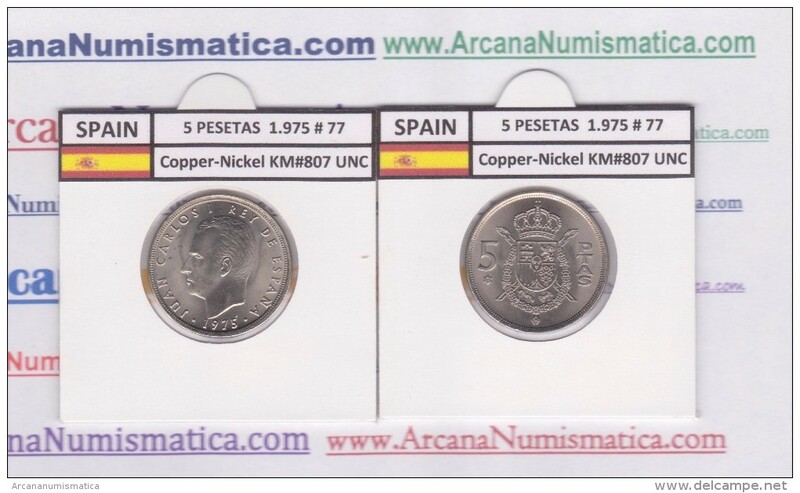 PUERTO RICO (Colonia Española/Spanish Colony) 10 Céntimos 1.890 Cobre SC/UNC KM#Pn1 Réplica SC/UNC T-DL-10.148 Can. 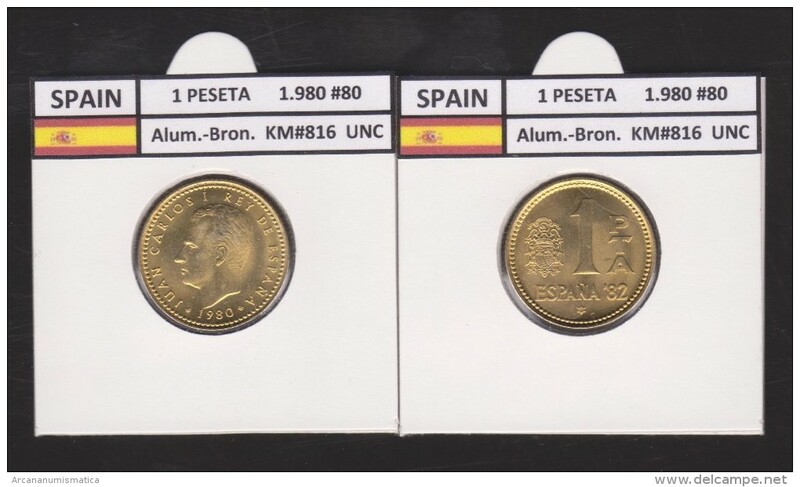 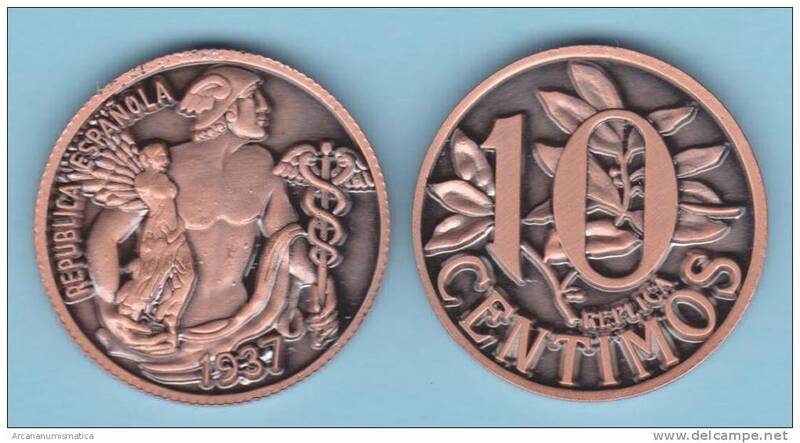 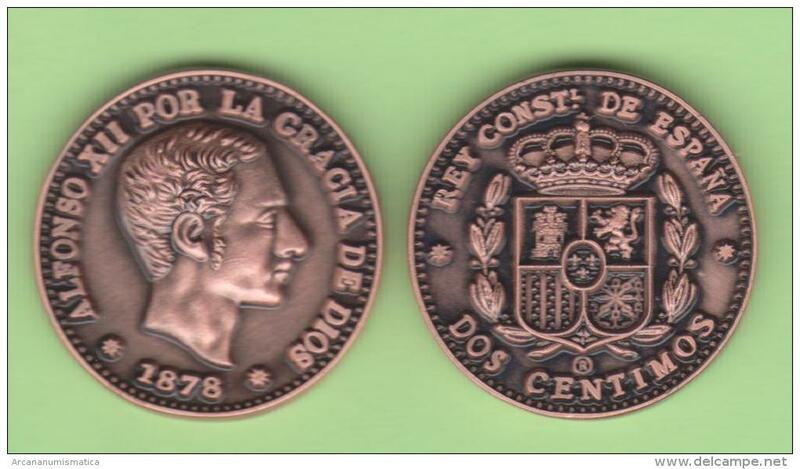 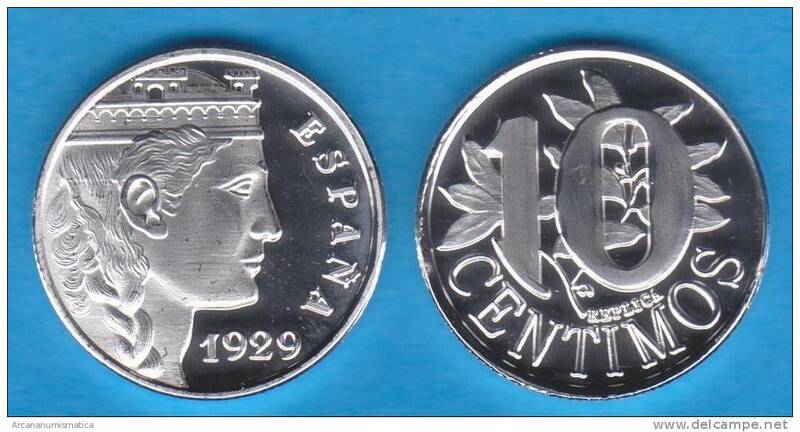 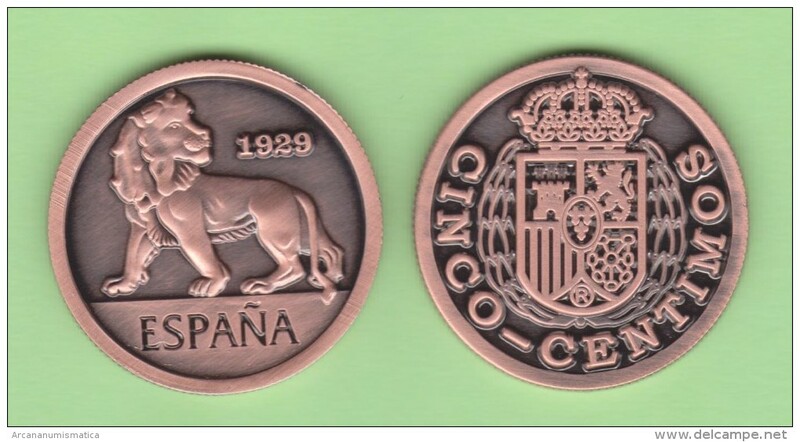 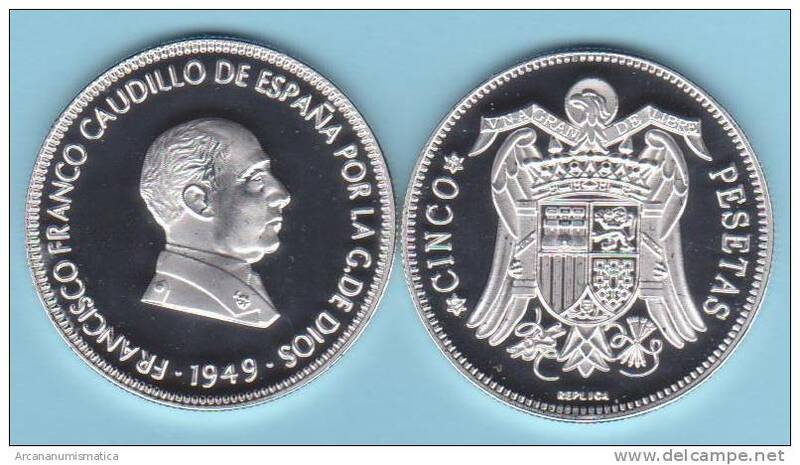 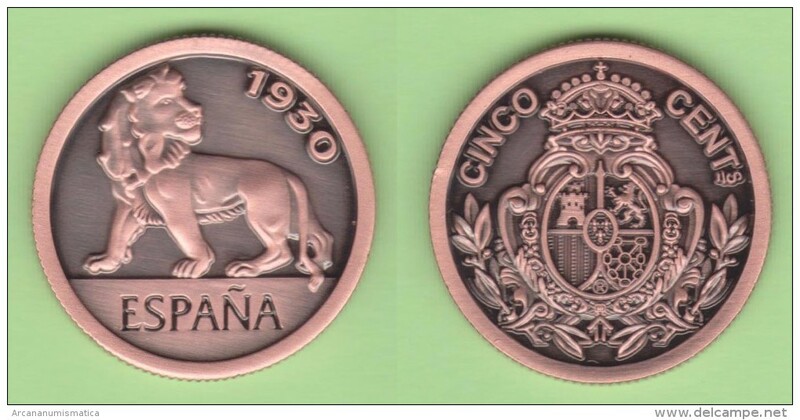 e.
ESPAÑA / SPAIN / Alfonso XIII 10 Céntimos 1.929 PROOF Cy. 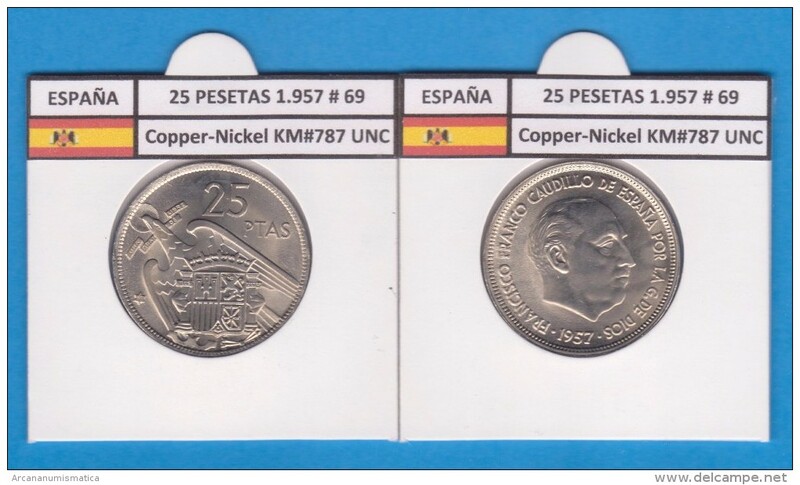 :17587 SC/UNC T-DL-10.101 Cana. 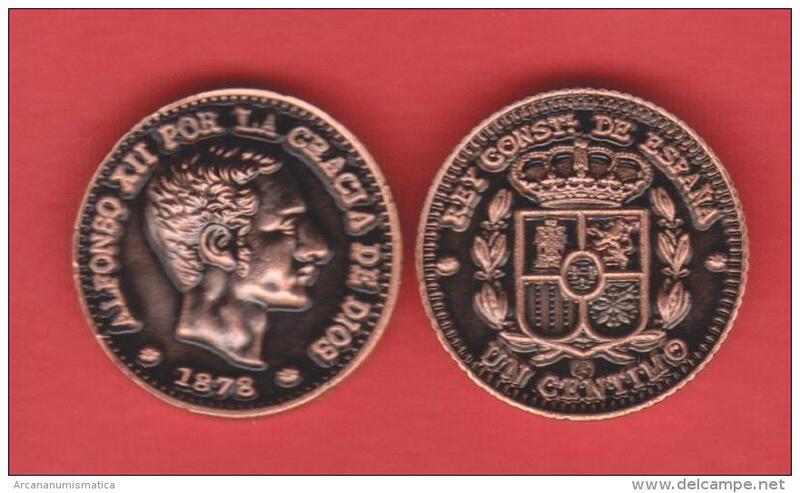 VERY RARE!!!! 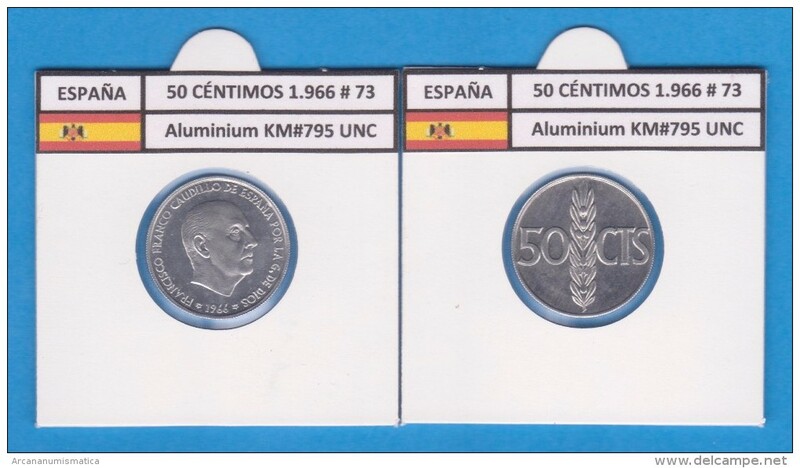 SPAIN/ESPAÑA / Estado Español 5 Céntimos 1.937 Zinc SC T-DL-10.090 cana. 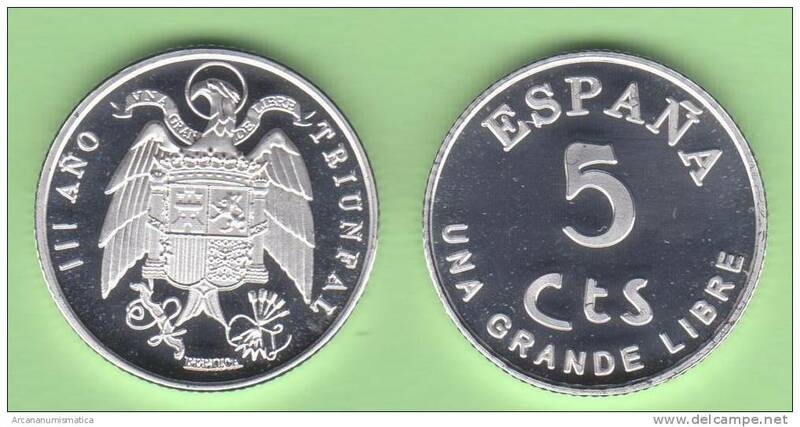 ¡¡¡VERY RARE!!! 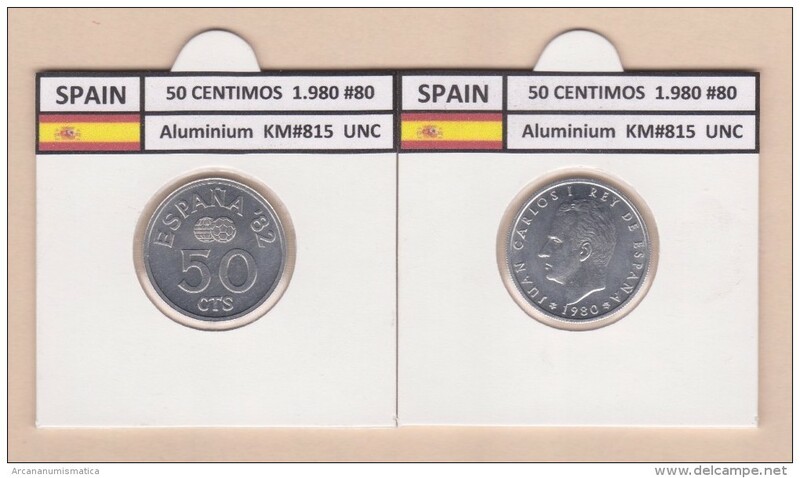 ESPAÑA (SPAIN) / ESTADO ESPAÑOL 10 CÉNTIMOS 1.937 Zinc SC/UNC DL-10.085 Can. 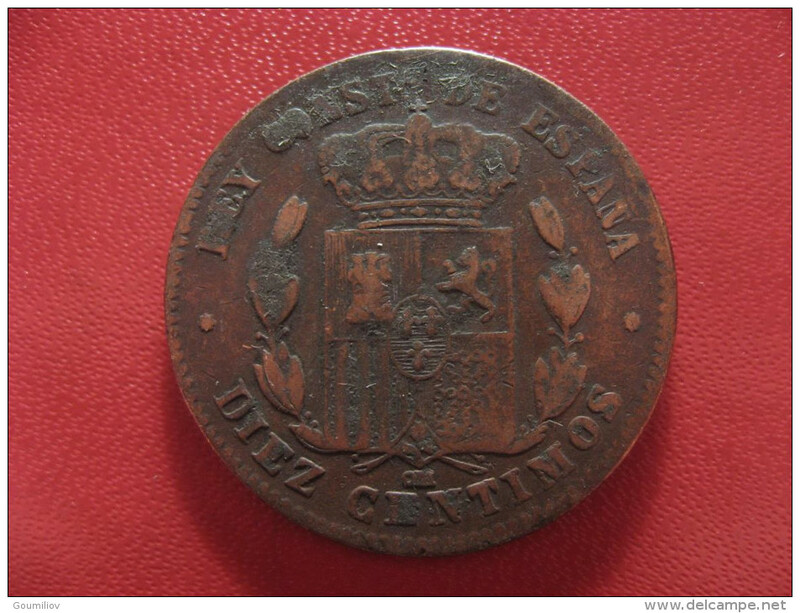 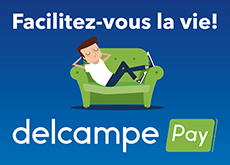 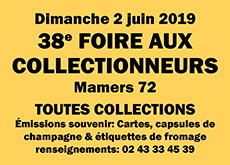 Il y a 17785 objets pour votre recherche sur Delcampe International.